We have just released the newest version of the Ditto app, version 2.09. Please update your app via the Appstore or Google Playstore. For questions you may have or if you need more help, submit a support request . Simple Matters support is available Monday-Friday, 9AM-5PM PST. Below you'll find a number of helpful Videos that will make the Ditto setup process simple and fun. We hope you enjoy! Below you'll find answers to the most common Ditto questions. Still need help? Submit a request to our Support Center. Because our development team is constantly working to improve Ditto in line with the latest mobile technology, Ditto is designed to automatically update the “firmware” that keeps it operating. That means when your phone’s operating system is updated or changes how it works with Bluetooth or notifications, we can make changes to the Ditto firmware and automatically update your Ditto over the air (“OTA” - no need to plug in any cords). When new firmware is detected, your Ditto app will show an icon. 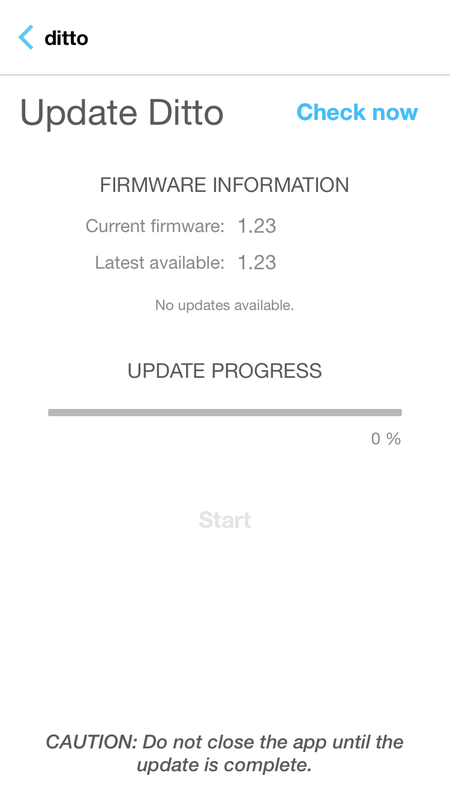 Simply tap the “Update” menu, check for new firmware and watch it update. I am not receiving notifications for my e-mail or other third party apps. 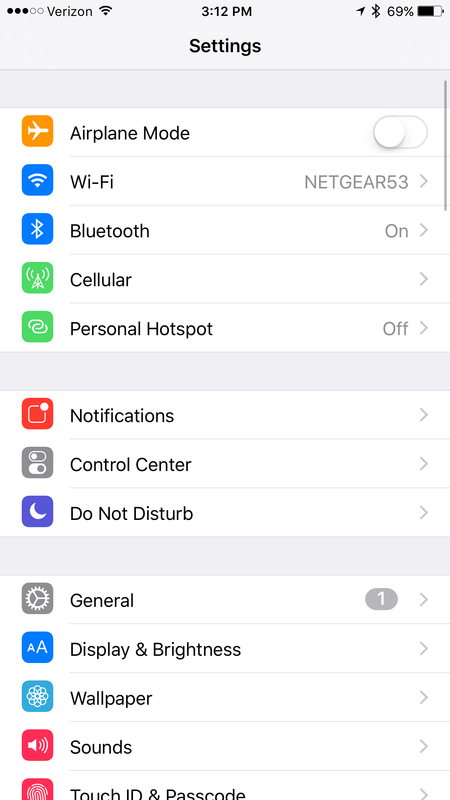 iPhone users running the latest version of iOS, iOS 9.2.1, must enable notifications for apps in their iPhone’s settings. On the Notifications page, tap the app for which you wish to receive notifications. 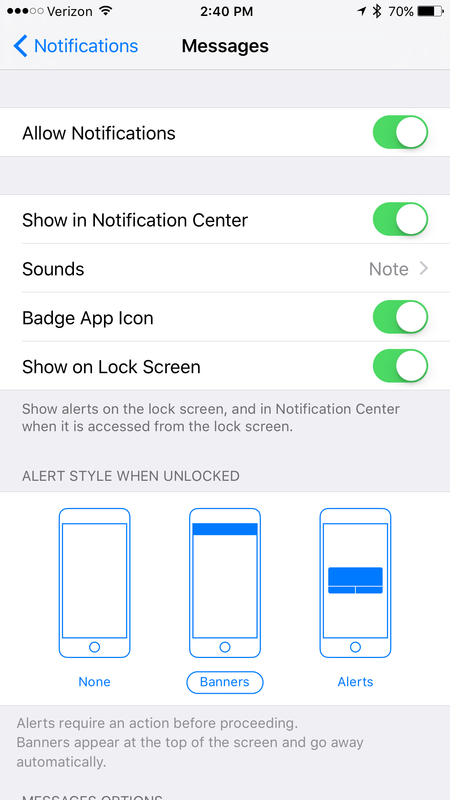 From there, you must enable the categories, “Allow Notifications” as well as “Show in Notification Center.” It is additionally necessary to set “Alert Style When Unlocked” to either Banners or Alerts. Repeat this process for each app for which you wish to receive notifications. Check out the video on the app or here. The clip on your Ditto should be (1) even and flush with the sides of the main Ditto body and (2) fully seated in the cavity so that it is even when you look at it from the side. The cap holding the battery should be fully flush with the body and not uneven or cockeyed. We love to hear feedback from our users to help us evolve our product. If you have a suggestion to improve your Ditto experience, feel free to let us know here. How does Ditto communicate with my phone? 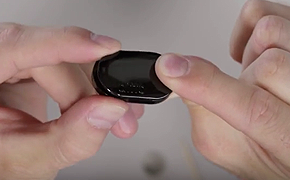 Ditto communicates with your smartphone using Bluetooth Low Energy (BLE). This is a low-power radio signal that establishes a secure link between your phone and Ditto. What is The Range of Ditto? While Ditto’s range is up to 390 ft., this is only under ideal conditions (i.e. open spaces). Around a home or office, the range might be 25-100 ft. depending on construction materials, and objects and people in the room. When one leaves the Bluetooth range of their phone, they are notified with Ditto's tether alert. If you find you’re setting off the tether too frequently, you can experiment by setting a delay of more than the default 30 seconds. Please note, Ditto is only compatible with Android Bluetooth-Ready® Smartphones (BTLE or Bluetooth 4.1), running system versions 4.4 or later. At this time, Ditto is not compatible with Windows smartphones or Google Nexus Phones. For the best Ditto usage, we recommend users stay up to date with their latest commerically released iOS or Android system versions. Please note that running Beta versions of system versions may cause interruptions in Ditto's performance. Will Ditto work with phones using Beta operating systems? 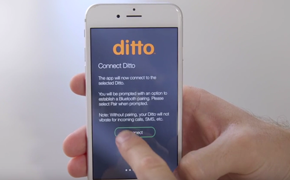 Please note, if you are are currently running a Beta version of Apple or Android software on your smartphone, you will likely experience complications with Ditto's performance. Once an official release is made on either platform, the team at Simple Matters will work to have a Ditto update available in just a few short business days. To ensure the best performance from your Ditto, please use the most recent commercially released software from either provider at all times. .
How long will the battery last? How do I replace it? In the Notifications menu and the Apps menu, you can select the notifications you want to receive - calls, texts, and e-mails, calendar, and third party apps. On each screen, you can enable or disable notifications for that particular function, as well as set the vibration pattern of your choice. Please note that the longer and more numerous the vibrations, the greater the drain on the battery power. What third party apps are currently supported? *Please note that to receive Ditto notifications for any third party app, notifications for the app must also be enabled on your phone. 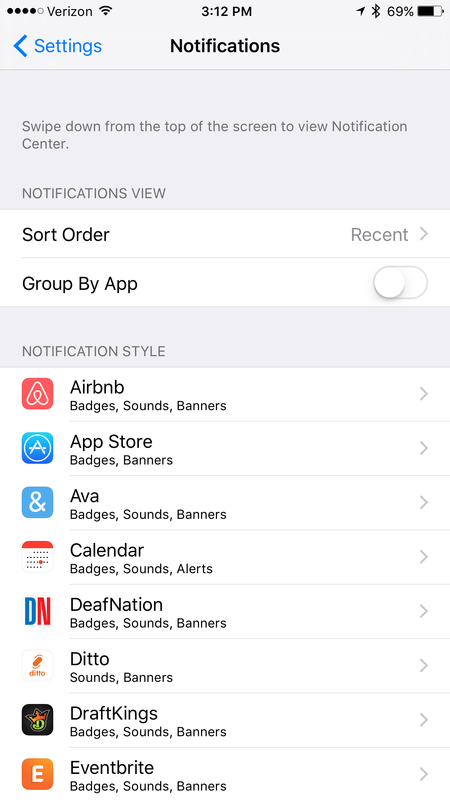 When favorites is enabled, Ditto filters your alerts so that only the contacts you've selected trigger vibrations*. Favorites works with Phone Calls and Texts ONLY. All other texts and calls from non-selected contacts will not trigger Ditto. *Alarms, Timer, Uber alerts, and Calendar notifications will still work when favorites is enabled. Please note that Ditto Favorites are not the same as the favorites, VIPs or other lists on your smartphone. The tether, when enabled, triggers Ditto to vibrate when you have left your phone's Bluetooth range. This helps alert the user if they have left their phone behind. The tether is set to a minimum delay of 30 seconds. This means that the Ditto tether vibration will not go off until you have stayed out of your phone's Bluetooth range for more than 30 seconds. This delay can also be set to longer periods of time. 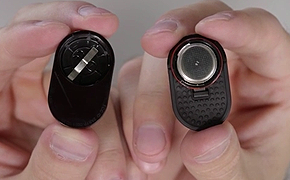 The purpose of the delay is to minimize unnecessary vibrations if the user steps out of Bluetooth range only briefly. For example, imagine your phone is on your office desk. You walk to a trash can out of your phone's Bluetooth range, but return to your desk immediately after. The 30 second delay prevents a tether alert from going off when you are still around your phone. 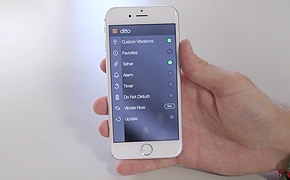 Ditto's Alarm function provides you a silent, vibrating alarm that works with the timer in the Ditto app. This makes Ditto an excellent wake-up alarm if you need to get up but don’t want to bother others nearby with a noisy alarm. 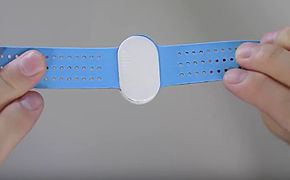 Using Ditto with its wristband generally provides a more secure way to wear Ditto so that you don’t knock it off while asleep. Ditto Timers are remembered on the device. Ditto will thus vibrate when the Timer expires, even if your smartphone is not within range or connected. You can set a Timer to alert you of an event in a certain number of minutes – perhaps your parking meter is expiring or you have to remember to do something else. Entering text into "Timer Message" is optional. This text will pop up on your phone screen when the timer is up. Ditto follows the settings made in the iPhone’s DND. Additionally, you can start an instant DND for Ditto only, for minutes or hours using the app. Because of the variation of DND settings in different Android models, at this time Android users can only set the Ditto DND through the Wear Ditto app. Informs you of the battery percentage you have left. You will receive a notification once the Ditto battery drops below 20%. *Please note, there are a few cases in which the Ditto app creates a false low-battery notice. If you have been using your Ditto for less than a month and receive this notice telling you to change your battery, you can likely ignore it. This is a bug that we are working to correct in the immediate future. This clears out your Ditto and Resets it to its factory settings. This may be necessary to use if your Ditto’s memory becomes corrupted. Ditto will then automatically update itself to the current firmware. This brings up the online support system for Ditto. Here you can find Frequently Asked Questions (FAQs), answers to your questions, initiate a support ticket if you are still having problems and register your product. What is the coin door? Some Dittos packages include a coin door. This can be used to replace the clip door, when an even thinner Ditto is desired. Use a coin to rotate this door on/off. It's best to keep Ditto attached in a way that it is close to your body in order to feel the Ditto vibrations. You need to install the Wear Ditto iOS or Android app to customize Ditto.